It’s not unusual for homeowners to try to manage as many repairs around the house as possible, to save both money and time. While you might be able to unclog a drain and patch up drywall safely and easily, roofing repairs in Erie, PA, should always be left to a professional! Before you head up to your home’s roof to replace any tiles or even inspect its surface, consider a few reasons why this work is best left to a roofing contractor. The danger of handling your own roofing job actually starts even before you set foot on the tiles! You may be surprised to find out that ladders need to be set at a certain angle against your home; if they’re extended too far at the base, they can slide out from underneath you. If a ladder is too upright, the top can easily fall away from the house. A professional roofer will know how to safely set up a ladder and also know to check the consistency of the ground so the ladder doesn’t sink or settle. A roofing contractor will know how to safely hoist up heavy tools and materials, even using a pulley system if necessary. Safety on a roof is often more challenging than many homeowners realize; tying yourself to the chimney may not be a good safety measure, as the chimney itself could crumble or a poor-quality harness may snap under your weight. Remember, too, that the granules of roofing tiles provide traction, but older roofing tiles will usually have bare patches of missing granules so the roof is more slippery than you expect. Loose granules on old tiles can also slide out from under you. Even professional roofers with years of experience can slide off a roof with one misstep; how much more dangerous it is for a homeowner to be on the roof! For your own safety, avoid being on the roof even for an inspection as well as for repairs. 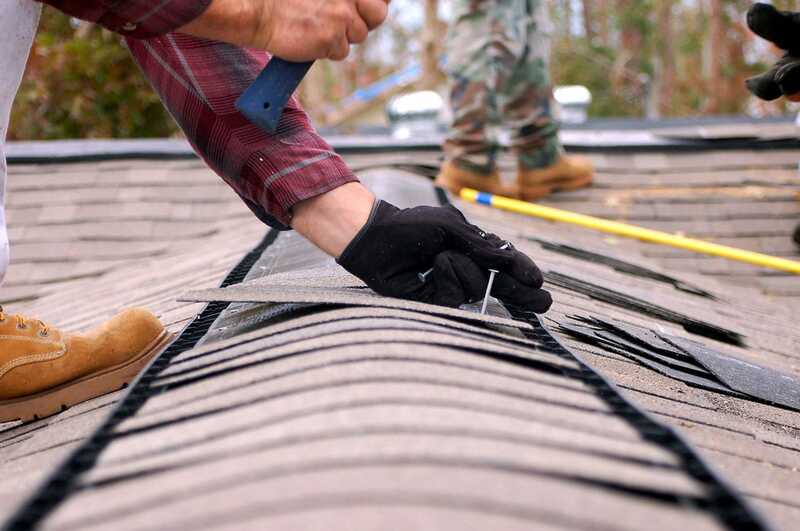 If you don’t know how to properly inspect the roofing paper or flashing under missing or old tiles, you may overlook cracks, tears, or areas of the paper that are pulled away from the roof itself. This can mean eventual water leaks, even with new roofing tiles. Poor-quality flashing also lets out heating and cooling throughout the year, raising your utility bills. A professional roofer will inspect all parts of the roof that may need repair so nothing is overlooked or neglected. If your home is even a few years old, the roof rafters and joists that hold up the roof as well as the load-bearing walls inside the home may have gotten weaker. With an old and thin roof, this may not cause a problem; however, once you install new roofing tiles, your home may begin to sag and sink under that weight. A professional roofer will know how to inspect the inside of the home’s crawlspace or attic to ensure the building materials are in good repair and can manage the weight of a new roof. This is vitally important to consider if you’re going to change the roofing materials to something heavier, such as replacing asphalt tiles with clay or slate. Before you decide that you can or should handle roofing repairs on your own, consider all these very good reasons to call a roofing contractor in Erie, PA, instead. This will ensure the job is done properly and safely and both your home and roof are protected for years to come. Don’t Overlook These Signs That Your Home Needs Roof Repair!